DON´T LOOK A GIFT HORSE IN THE MOUTH! Suddenly this doesn´t work apply to my job. 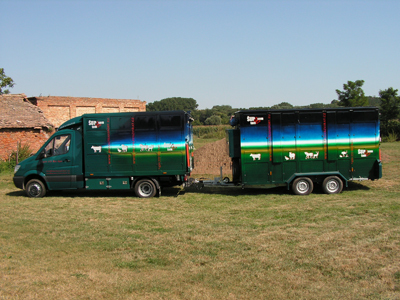 Of course I can´t choose what a horse or an animal I want to transport. 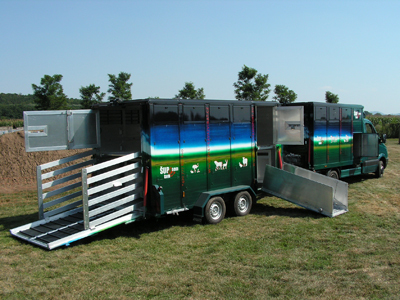 If I could I would for sure go only for really nice, easy going and behaving ones who run into a trailer without any kind of fear or hasitation. The reality is slightly different. This is why I allways ask owners of the animals for maximum of support by sharing any more or less important information about their animal witch can be incredibly helpfull with the strategy of transport. Even hardly notable things can be quite effective to work out really safe journey and approach. 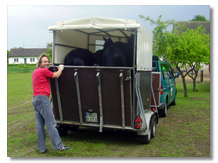 I am able to arrange your horses journey by trailor, track, train, ferry or even by plane! 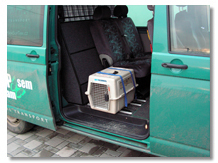 Click for setting and adjusting your animals in the vehicle! there is also an insurance of transported objects and animals up to 500 000 czech crowns included in the final price you pay! 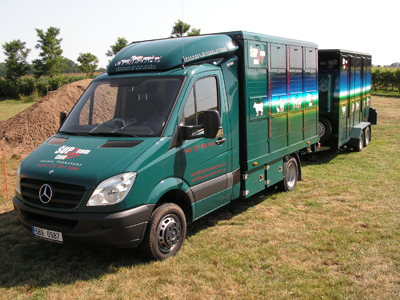 If you are still missing something in this offer or if you think your animal really needs some more special equipment or approach please don´t hesitate and feel free to contact me and talk it out. If possible I will do my best to adjust it and do the most for your beloved animal friend. 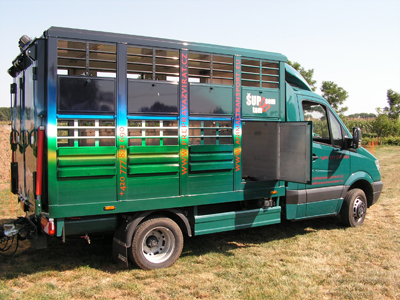 Whenever an animal is going to undergo some kind of stress as a transport is do as much as you can to eliminate it. For example give him allways the food he is used to have at home. Make sure that it goes with him! My aim is to make you happy. 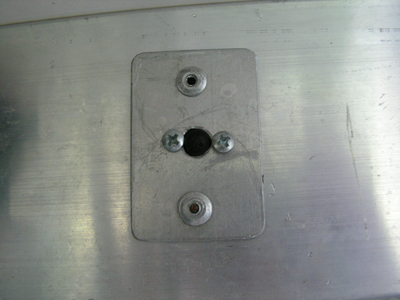 That is why I will make a special surprise for regular customers. I can adjust the prices at minimum to say thank you for using my transport. Click for discounts and enrol customer programme! it is the only set of this kind in the whole Europian Union. 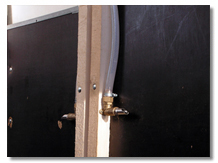 -	meets all the requirements of Czech and Europian standarts (Wellfare) !!! 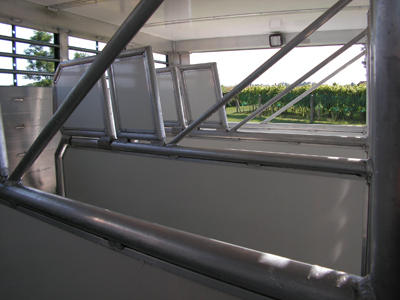 -	specific superstructures: welded construction from perfored sections of high in firmnes aluminium alloy where the strenght is also provided by the floor made of aluminium profiles. 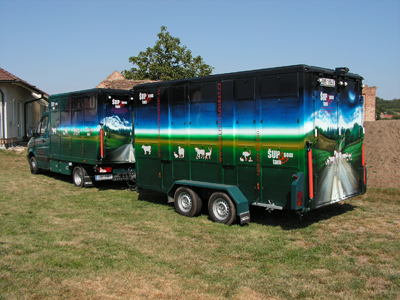 -	the trailor was made by number one czech producer of animal trailors Menke - Janzen & HR Partner s.r.o.(http://www.hrpartner.cz). 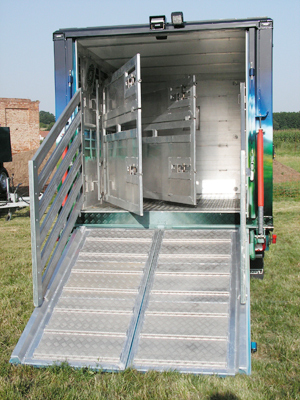 -	it is a manufactured made product according to a specific own design that follows experiences, needs and legislative of animal transport in general. 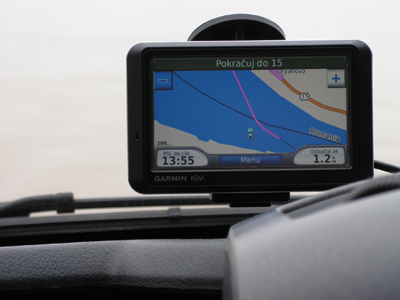 GPS navigation to find the optimal journey - also saves the expenses. CB radiolocator - essential tool to communicate with the other drivers during the journey (to avoid any kind of problems). 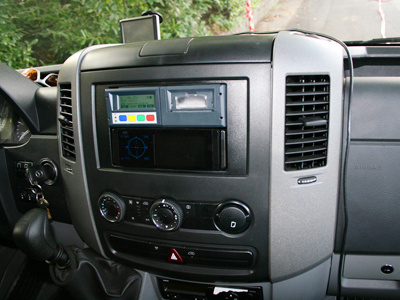 The truck includes Euroscan system of new generation (http://www.euroscan-group.com). 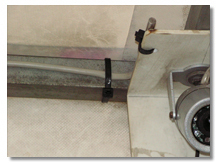 This instrument can be adjusted in functions according to special and specific needs. 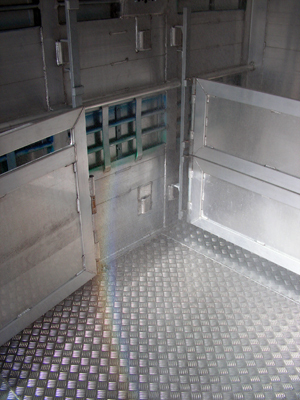 It is on the highest technical level and of course follows legislative of animal transport. The automatic archivation of the data is the matter of fact (it allows an off line search for documenting the journey by return). 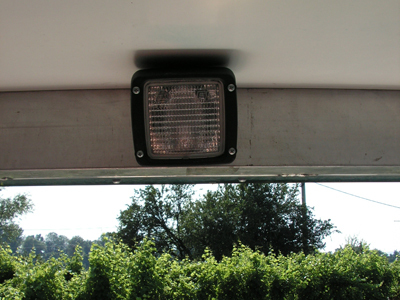 The system can asign the enter code for the customer who can watch the truck directly when set on the journey. 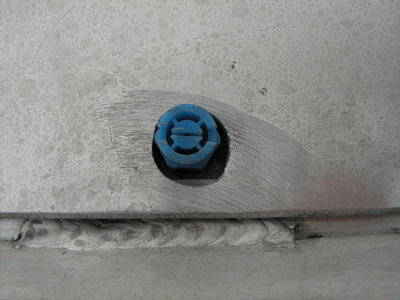 The indication of truck shows exact number of kilometers travelled for price check out. 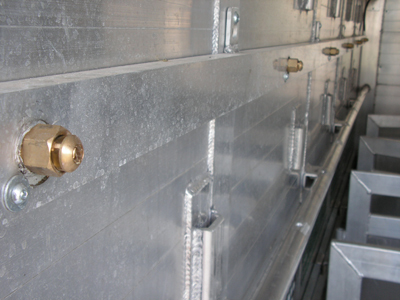 It also provides on line checking of temperatures on board of each patrts of the set. And at least the on line camera for check the animal itself. 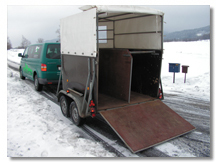 a) trailor: 12 pieces for sheeps, goats and pigs (built-in), 4 pieces for horses or cattle (mobile). 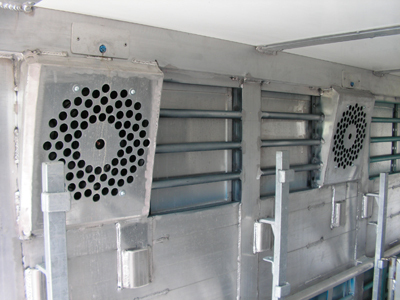 Air-conditioning - forced system with buildt-in regulation of air streams (4 air fans in the trailor and 2 air fans in the superstructure). Aater moisturizers (or showers) which are a must have necessity during summer months to provide the best animal comfort (especially some ZOO animals transported in containers can be that stressed out that they may not ingest any water so this is a key tool to threat them). 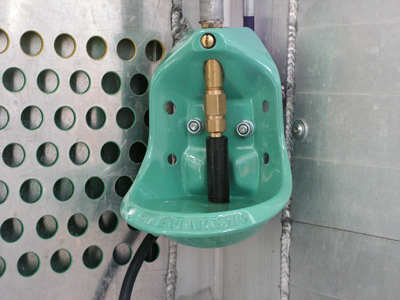 Multifunction and maximum of variability. 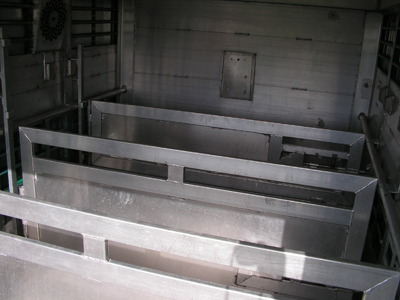 Extra variability of boxes, bunks and departmens for any animal kinds. Unique possibility to combine transport of animals which couldn´t at all be travelled together before. 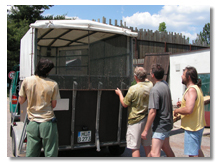 A new possibility of travelling ZOO animals without extra containers therefore they can have much more comfort and less harmfull stress than ever (Wellfare). Maximum interest of health aspects of the animals while travelled and even after that. Connected to journey plan optimalization via GPS, CB radio and RDS in kilometers and time. 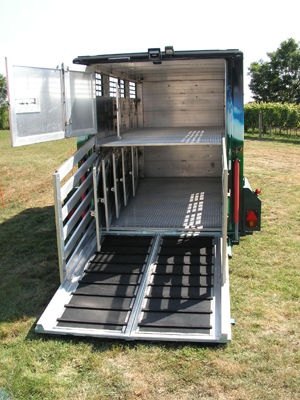 Relayable supervision of transported animals with camera system on board. 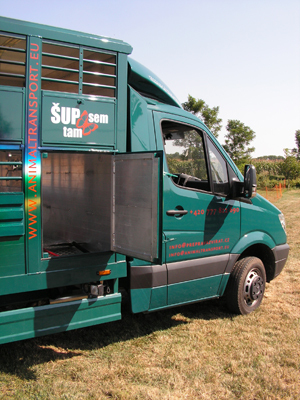 Regular and early threatment of the animals during the journey thanks to the signalisation system. On line watching of your animal when travelling (set by the unique code). 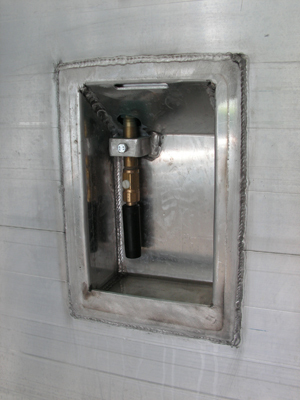 Echo checking of times, journey, speed, temperature and other parameters by automatic data archivation. Personal fotodocumentation of your animals travelling. ...or any other farm animals, as well as exotic animals, including your pets. GPS navigation Garmin - TomTom - for determinating the best journey to the final destination. 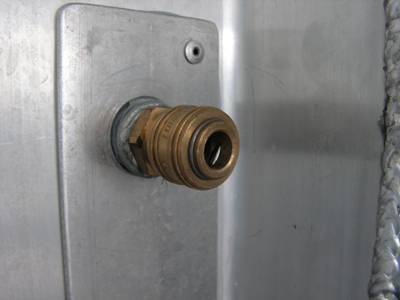 Registration thermometer to check out the temperature inside of the trailor. 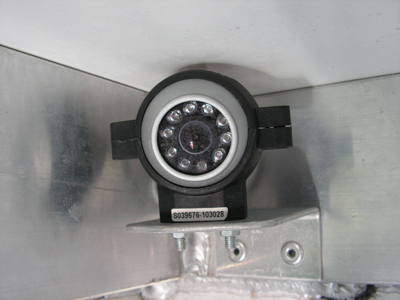 Camera system inside of the trailor. 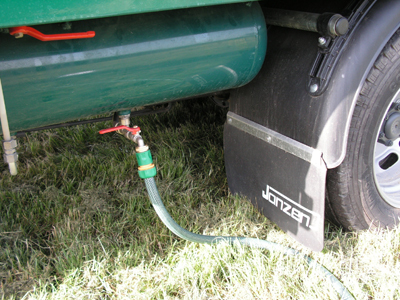 (posádka vozidla má neustálý přehled o přepravovaných zvířatech). 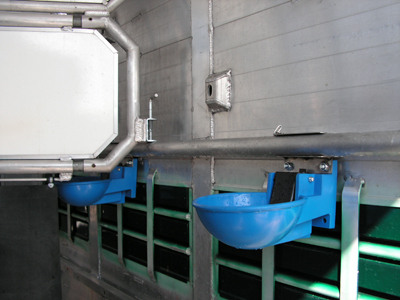 Self-filling drinking bowls inside for two horses (mobile). 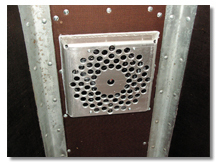 Forced air-conditioning / regulation of air circulation inside (one air fan in the trailor and air-conditioning in the van). 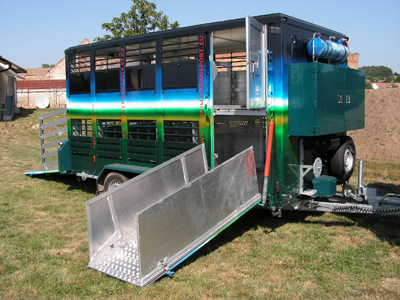 The best choice to transport your horses when competing or participating any kind of shows. 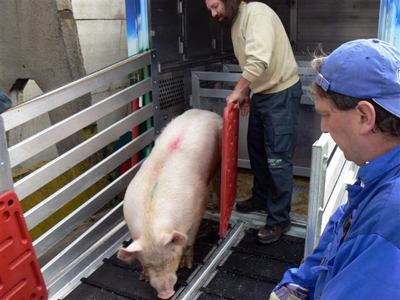 Maximum concentraition on health aspects of transported animals during the journey and even after it. Optimalization of the expenses of transport. Optimalisation of time and route kilometers via GPS, RDS and info portales. 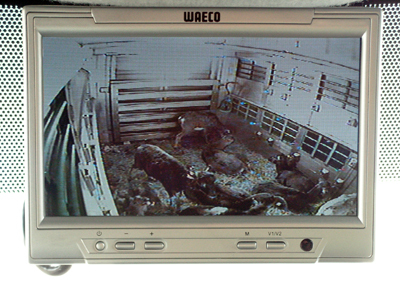 Relayable supervision of the animals travelled by the camera system. 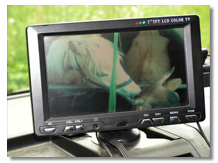 Regular and in-time care of the animals during the journey thanks to the signalisation system. 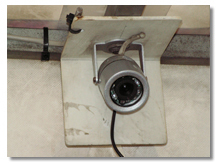 Echo checking of times, journey, speed, temperature and other parameters when needed by automatic data archivation. Personal fotodocumentation of your animals . Skype download and call for free.